A lot of reading is taking place in April by students at Northwest Elementary School. The school launched its annual Pick a Reading Partner program with an assembly on April 5 to get children excited about the literacy initiative. The two weeks leading up to spring break features a reading competition. Students are asked to read at least 20 minutes a day at home with a parent, grandparent, older sibling or any partner of their choosing. Children are logging their minutes and reporting back to the their teachers. At the end of the program, the class on each grade level with the most combined minutes read earns a prize. There will be many activities during the program at school. During Drop Everything and Read moments, an announcement will be made and every child and adult in the building will stop whatever they are doing and grab a book. There will be book buddy events with students from different grades partnering up to read together. Students will be encouraged to wear shirts with words and carry poems in their pockets. PARP culminates with a read-in day, in which parents and other special guests will be invited to come to school and read with small groups of students. Author Stephen R. Swinburne’s name can be found on many books in classroom libraries at Northwest Elementary School, so students were delighted when he recently visited. Swinburne, who writes about science and nature, talked to students about the inspiration for his nonfiction books. He shared stories, photos and videos from the his excursions with scientists to gather information. Many of his books are about animals, a topic of particular interest to young readers. In his presentation to students, Swinburne talked to students about the writing process. He emphasized determination and perseverance, reminding children that they should never give up, even if a writing task seems difficult. Third-graders put their heads together and came up with bridge designs for a St. Patrick’s Day activity in Dana Herz’s class at Northwest Elementary School in the Amityville Union Free School District. Building materials included pipe cleaners, clay and paper cup. Each student came up with his or her idea, then the young engineers in every group discussed their plans and selected a design. When the projects were complete, Ms. Herz filled the cups with gold coins to see how much each bridge could hold. She added that the sturdiest bridges had multiple pipe cleaners in an arch and anchored into clay bases, resembling a rainbow. Skin in the Game learning has debuted at Northwest Elementary School as students are creating their own board games. Several second- and third-grade classes are taking part in the initiative, which will eventually be expanded to the entire school. Skin in the Game supports the curriculum as students use their knowledge of different subject areas to create their games. They come up with a concept, create rules and directions and design game boards, pieces and question cards. Math has been a popular choice for students as they explore the intricacies of game design. In Kelli Geilman’s third-grade class, one group worked on a multiplication and division game that has an “under the sea” theme. Juliane Roman and Stacey Tloczkowski’s class made a frog-themed game focusing on number sense and multiplication. Lori Heavey’s third-graders came up with “Escape from Northwest.” The board game starts at a picture of their school and ends at a picture of Park Avenue Memorial Elementary School, where they will attend in fourth grade. Questions are broken up in to four progressive levels: addition and subtraction, multiplication and division, single-step problems, and double-step problems. Skin in the Game also includes a technology component. Once students understand the basics of game design, they will transition into video game creation to learn about computer programming. The Skin in the Game initiative is funded through a federal Academic Enrichment grant that the district received last summer. 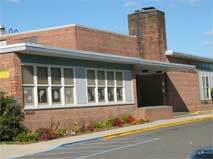 Amityville was one of 38 school districts selected by the New York State Education Department to receive funds through the Every Student Succeeds Act for technology enhancement. Teachers from multiple schools were trained last summer during an in-district professional development session, and more staff will be trained in February. Literacy Podcast #1 - Questioning!